Technical Tour of the I-40 Crosstown Expressway Realignment - Located in downtown Oklahoma City, this realignment of 4.5 miles of urban interstate is the largest project that ODOT has ever undertaken. An assembly of 23 individual construction projects will combine to realign I-40 and convert the existing alignment into a boulevard for reconnecting downtown Oklahoma City to the interstate system. Oklahoma City National Memorial - The Oklahoma City Bombing Memorial pays tribute to those who lost their lives or were injured during one of the worst incidents of domestic terrorism any State has experienced. Tour the memorial site where the Murrah Building once stood and the museum which serves to educate the public on the April 19, 1995 bombing and the effects of violence. 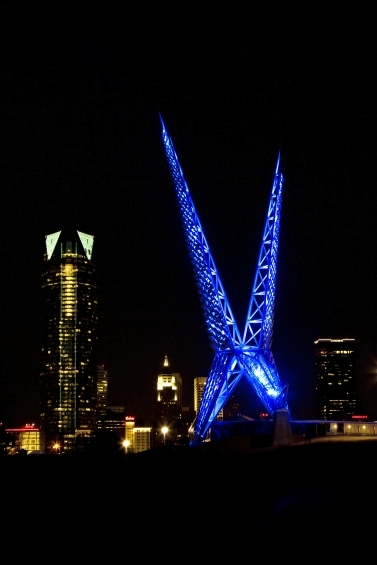 Visit the Oklahoma City National Memorial web site at www.oklahomacitynationalmemorial.org. Oklahoma City Zoo - The Oklahoma City Zoo considers itself a living museum where the public may see rare and exotic animals. It also educates guests on various conservation programs that benefit both animals and plants. The weather in early October should be perfect for this outdoor activity. Visit the Oklahoma City Zoo web site at www.okczoo.com.